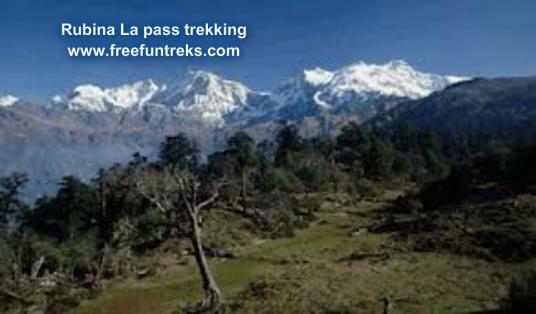 Welcome to Rubina la cross treking with us in Nepal, Manaslu Larke Pass Trekking is one of the best adventure Trekking in Nepal. The Manaslu trek who want to do it, they should be follows of the Budi-Gandaki river from the sub-tropical forest to the dry Tibetan zone, The Manaslu Trekking offering the visitors outstanding views of Mt.Manaslu. The hight of the Mt Manaslu is 8,156m, from the sea level. out of 14 highest peaks, Mt.Manaslu is one of it. The visitors can be see panoramic view and magnificent peaks and real Tibetian people and Tibetian culture every day during the Trekking. Manaslu trekking is a rally adventure and enjoyble Trekking and all visitors feel it continues over the highest point of journey at Larke pass, which is almost highest point about this Trekking. which is known as Annapurna circuit Trekking. It is almost down-hill through the serene alpine forests and meadows till we come to the main trail of the Annapurna circuit, after being on the main track for a few days our journey continues towards Pokhara via another secret route seldom used by trekkers offering stunning views of the Manaslu and Annapurna range including the magnificent majestic Mt.Machhapuchare (Fish Tail) with the traditional mid hills and a villages. Day 01: Arrive at Kathmandu 1,300m and transfer to respective Hotels. Day 03: Drive to Gorkha 1,143m 5 hours drive. Day 04: Trek to Khanchowk 956m- 5 hours walk. Day 05: Trek to Arughat 750m. 4-5 hours trek. Day 06: Trek to Soti-khola 860m 5 hours trek. Day 08: Trek to Jagat 1,350m 6-7 hours walk. Day 09: Trek to Nyak or Eklebhati 1,775m, approx 5 hours trek. Day 10: Trek to Ghap 2,156m via Bih. Approx: 6-7 hours trek. Day 11: Trek to Lho (3,150m) approx: 6 hours trek. Day 12: Trek to Sama Gompa (3,500m) approx: 5 hours trek. Day 13: Rest day at Sama Gompa. Day 14: Trek to Samdu (3,780m) approx: 5 hours trek. Day15: Trek to Larkya phedi near to Guest House (4,450m) 4 hours trek. Day 16: Cross Larkya pass at 5,135m and to Bhimtang 7-8 hours. Day 17: From Bhimtang trek and camp in the middle of forest. 5 hours walk. Day 18: From the forest camp trek to Dharapani village 1,943m. 5-6 hours. Day 19: From Dharapani trek to Chamje 1,410m. 5 hrs. Day 20: Chamje to Ngadi 920m 6 hrs. Day 21: Trek to Beshishar and drive back to Kathmandu. Day 22: Free day in Kathmandu for individual activities. Day 23: Transfer to Airport for the International departure.